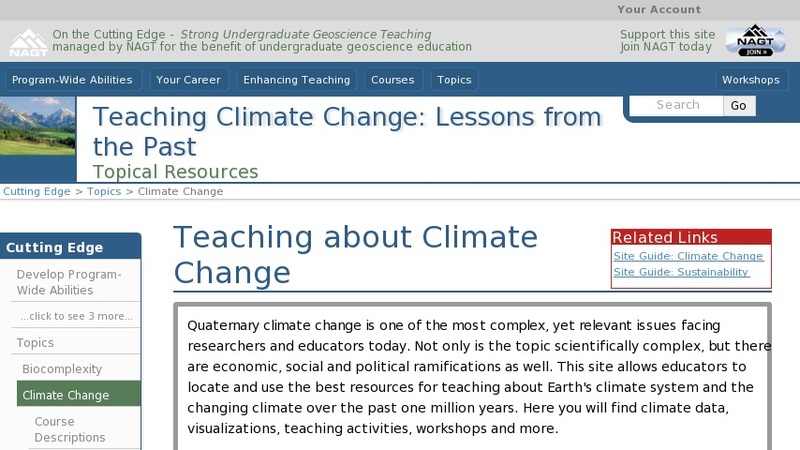 This site allows educators to locate and use the best resources for teaching about Earth's climate system and the changing climate over the past one million years. Here you will find climate data, visualizations, teaching activities and case studies. By learning from past climate changes, we can apply this to present-day and future climate shifts.